As a Belgian national working in payments, I take special interest in how Belgian people like to shop and spend their money. There are big changes underway in Belgium in this regard, and by almost every KPI imaginable, eCommerce is booming. More people are making more transactions and spending more money every year. At 15% growth in 2017, Belgian online spending is accelerating – it was only 10% in 2016 - and growing much faster than the European average. Consulting firm AT Kearney ranked Belgium at the 9th most attractive eCommerce market in the world, and Belgium has the fifth-highest Logistical Performance Indicator. Belgium is a small country at the heart of Europe, and because of that Belgians have an international mindset and embrace other cultures. This is reflected in how and where we like to shop too. 40% of Belgian consumers buy online from websites based in other EU countries, which places Belgians at the top of the cross-border charts in Europe. Our neighbors to the North, the Dutch, are the main beneficiaries of this, with over 50% of online cross-border purchases by value being made through Dutch websites. Limited choice of domestic merchants encourages this cross-border behavior with price, value and selection being quoted as key motivators for shopping cross-border, according to a study by Insight Consulting. So for international merchants, the opportunity is real. But that doesn’t mean just showing up is enough to win us over. The old adage of ‘think globally, act locally’ certainly applies to the Belgium. With three official languages, selling into the different regions in Belgium comes with a range of unique requirements. Dutch merchants will find some success selling into Flanders, as will French merchants in Wallonia, but offering a local language website will be critical for international merchants. Another key to successful localization is in offering the right payment methods. This might seem quite obvious, but as a non-Belgian merchant, do you know what payment products we prefer? Sure, we like Visa and MasterCard and combined, credit cards account for around half of our online payments. But that still leaves the other half of the population, who prefer alternatives to cards. The most popular one by far is Bancontact, a domestic payment method that is linked to a bank account and can be used instore, online and via a mobile app. More than 80% of Belgian web shops accept Bancontact, and cross-border merchants looking to compete will need to follow along. By partnering with a PSP that offers local acquiring for Bancontact, you can match the reach and superior acceptance rates that local merchants enjoy. As an added benefit, Bancontact transactions don’t have the risk associated with chargebacks commonly associated with card payments. While we like to shop at international websites, less than half of Belgian cross-border shoppers indicate they feel confident doing so. Trust is a key driver of conversion, and fear of fraud is one of the biggest obstacles to success online. If consumers feel they might be scammed, they will drop out, so cross-border merchants are missing a big opportunity if their checkout pages don’t instill a sense of trust and security. One way for an international merchant to demonstrate compliance with local requirements is to register with a trustmark. There are several in Belgium, including those issued by Safeshops.be and BeCommerce. Another way is to offer additional security features such as 3D Secure. You may worry about drop off, but did you know that Belgian consumers are three times as likely to successfully complete the 3D Secure authentication process as for instance German consumers? This shows how much we value security and trust. Whether you call it the subscription economy, anything-as-a-service, or the relationship-centric economy, consumers are increasingly shifting to subscriptions for anything from music and movies to car rides and even toothpaste. While this trend is not unique to Belgium, SEPA direct debit payments are growing rapidly and enable safe and easy recurring bill payment and cross-border payments. However, for many merchants, processing SDD online can be challenging, because of the need for an online mandate and e-signatures. This mandate is the proof of the relation between the merchant and his customer, and gives the merchant the explicit approval to debit the account of his customer with the amounts due. Having a valid mandate is an important element to minimize risk of chargebacks when processing SDD transactions. Belgians are increasingly embracing our mobile phones as a way to shop in online stores. Smartphone usage increased by 76% in 2016, and many online retailers offer a ‘pay by mobile’ option on their website. This payment method uses QR codes to quickly enable mobile payments, with local banks such as KBC, CBC, ING or Belfius providing mobile apps to complete the payment simply by confirming with a PIN code. Bancontact also offers a mobile solution. All in all, mobile represents a big opportunity for international merchants to connect with Belgian consumers, but we do value our own systems to make mobile payments. For international merchants, the Belgian market represents an opportunity that’s too good to ignore. With the right approach, and the right partners, Belgium can deliver both immediate results and plenty of upside potential. 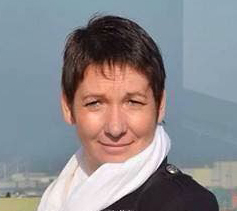 Anouk has worked for the terminal division of Ingenico for 3 years as Country Manager Belgium and later Benelux. Since May 2017, Anouk leads the Benelux Sales division with a new challenge: One face to the customer in an Omni-Channel environment with a unified solution that combines in-store and online transactions. She has over 20 years’ experience in the payment industry.